How to establish a professional development programme for public engagement. Supporting staff and students to develop their skills in public engagement is an exciting challenge. You can use our Learning Mini-EDGE tool to assess your own support for this, and to find out more about how the University of Edinburgh developed their approach. What Edinburgh’s experience demonstrates is that supporting training and development isn’t just about developing training courses and linking them into the university’s wider professional development programme. Training and development takes many other forms, including mentoring, providing informal opportunities to network and share, and a chance to ‘have a go’ in a supportive environment. An important place to start in planning your approach is the Researcher Development Framework. Developed in 2011, it was the result of an extensive consultation into researcher skills by Vitae. It articulates four domains in which researchers should be proficient, including 'Engagement, Influence and Impact': this domain emphasised skills in engagement and collaboration 'the knowledge and skills to work with others and ensure the wider impact of research'. 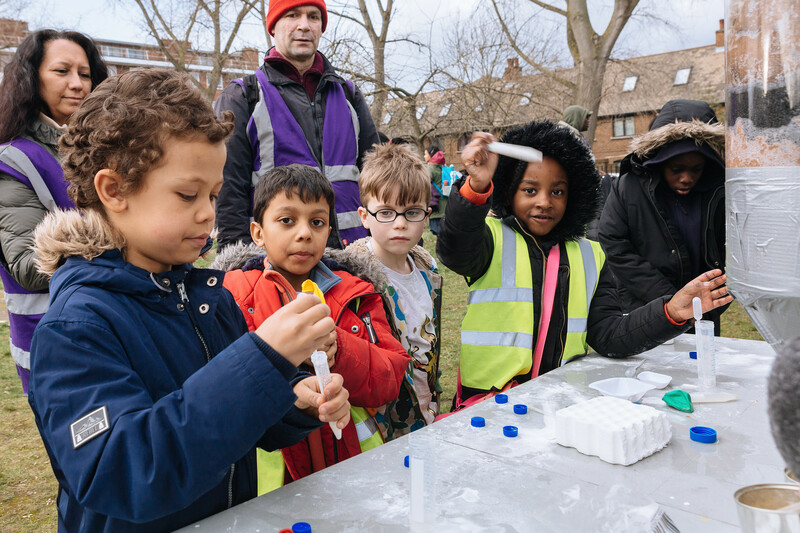 The NCCPE worked with Vitae to develop a ‘public engagement lens’, which spells out in more detail the knowledge, behaviours and attributes that you can acquire through involvement in public engagement. This framework is a useful starting point which we developed it in 2010 to try to capture the key attributes involved in successful public engagement. Unsurprisingly these include communication, but equally important are reflection (the ability to evaluate and reflect on your work) and empathy (including sensitivity to social and ethical issues, and respect for differences in understanding and attitudes). What national training is available? The NCCPE offers an extensive training programme, and also offer training the trainer opportunities. Our current training offer. We have also pulled together a list of other national training programmes. The 2016 ‘State of Play: Public Engagement with Research in UK Universities’ report noted that only around a quarter of researchers have attended formal training on PE or communications. As training appears to be widely available, this suggests that, whilst more can be done to raise awareness of opportunities, we may have reached saturation point with the type of training that is widely available. The report suggests that more needs to be done to tailor opportunities for learning to meet the need of the researcher community; for instance by responding to the preference many researchers have for ‘learning through doing’, and ‘just in time’ training. RCUK has recently commissioned the NCCPE to work alongside three new projects which are seeking to address these challenges, at Bath and Southampton Universities and at STFC Laboratories, as part of the new SEE-PER programme. We include below some links to show how different universities are currently framing their training and development ‘offer’. ￼This page links through to the current courses on offer at Southampton. How to facilitate partnerships to underpin your engagement strategy. How to go about accessing external funding for public engagement.